Is Amazon about to destroy the traditional college bookstore? Online retail giant Amazon is set to make a move onto college campuses. 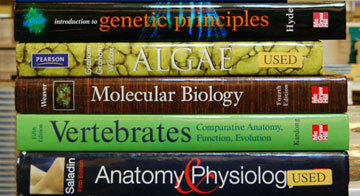 With that, the traditional headache of ordering textbooks is becoming a thing of the past. College bookstores mark up the prices on popular textbooks, and many even force students to needlessly buy new editions. Luckily, with Amazon setting up distribution centers on major college campuses, getting textbooks will become a quick and easy process. Better yet: colleges expect that students will save as much as $400 per year. The benefits for students in this Amazon move are many. Check out Engadget for the full story. Do you know any tricks to save money on textbooks? We would love to hear your comments below.